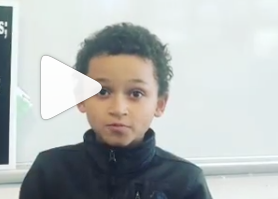 Watch SWS students say “thank you” for your donations! Each fall, our annual giving campaign is the second highest source of private funds raised annually by our community. All funds go to Friends of SWS (a DC nonprofit formed in 2012 to support SWS). With these private funds, we can augment our DCPS school budget to support our exceptional staff and enhance our inspirational, joyful environment. We are asking every SWS families to donate what they are able. Please consider donating $17 per month or $200 one-time gifts for every child you have at SWS (i.e., $17, $34, $51 per month or $200, $400, $600 in a one-time gift). This is just over$1 for every day your child(ren) are at SWS and about the cost of one no frills coffee each week. Please give what you are comfortable contributing; all gifts make a difference. We hope all families will participate! Checks or money orders (these reduce the amount of credit card fees we pay). Make checks payable to Friends of SWS and send them in your child’s folder or drop them off with Ms. Shawna in the front office. Please donate between now and December 4th.